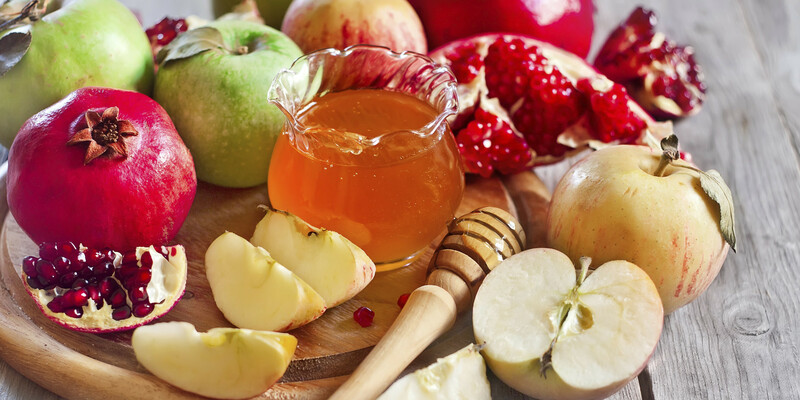 It’s Erev Rosh HaShana, the eve of the Jewish New Year. I’m (supposed to be) all geared up to stand before my Maker, give account for whether I’ve been naughty or nice during the past year, and to pray very very very hard for a positive review in the book of life for the upcoming year (ה’תשע”ח, 5778 by our count). Spring, 1970, Kent State. “Things fall apart; the centre cannot hold;/Mere anarchy is loosed upon the world”. Bill went Westwards. Mike went south. I went to the East. I became tribal. We all needed a belief to cling to. 1970 was a seller’s market, and a lot of new beliefs, cults, religions were hitting the shelves. I decided to go for The Hoary. I figured if my direct ancestors had been practicing our particular breed of ritual and practice and deportment for 3000 years, that was a good enough starting point for me. So I chose to strap myself to the Jewish tradition, all the way from Adherence to Zionism. So I tend to perceive the world through Jewish and Israeli eyes (and in our case, ears). 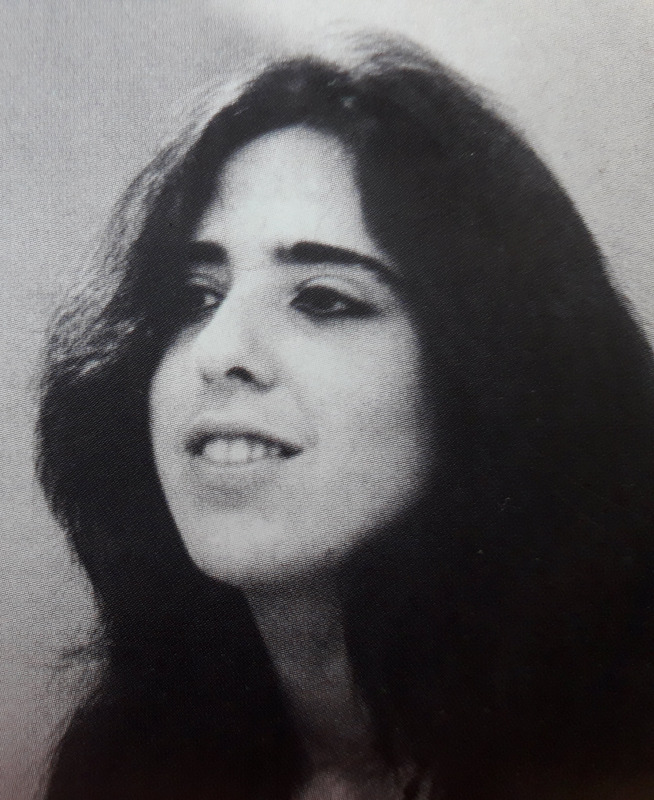 I’ve been doing my bi-annualish Laura Nyro binge on her early years (nothing new there), her first album (excavating treasures from underneath the layers of mucky arrangements), and especially the bootlegs from that period. 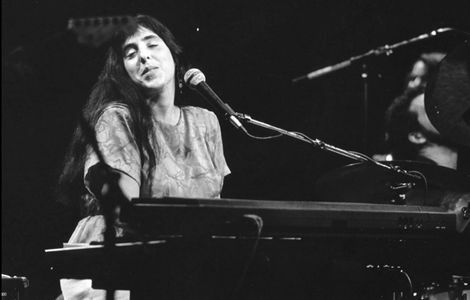 And I’ve been listening to Laura as a 19-year old Jewish girl pounding the piano and singing her Jewish heart out. As far as I know, Laura ignored her ancestry (she was ¾ Jewish, only her paternal grandfather was Italian), as did most of the other Jewish girls I knew in 1968 (including Carole King, Janis Ian, Carly Simon, Lesley Gore, Bette Midler, Cass Eliot, and Barbra Streisand). That doesn’t stop me from retrospectively listening to Laura through parochial ears. I would think that even a Martian observer would detect a certain irony here—so many people ignoring or denying how much their common ancestry has informed them. To be perfectly honest, perhaps the galvanizing moment of my life was sitting in an SDS meeting (as a beer-carrying observer), listening to Messrs Klein, Rothman, Blackman, Cohen and Steinberg bashing Israel’s treatment of the Palestinians. Laura has a Jewish soul. Not a solely Jewish soul. Soon we’ll get to her Motown in My Soul. But the passion, the compassion, the drive to describe and define and analyze—I see these as part of the Jewish character. Written by Burt Bacharach/Hal David for Dionne Warwick. SoTW 034 tells the whole story. Written by Carole King/Gerry Goffin for The Drifters. 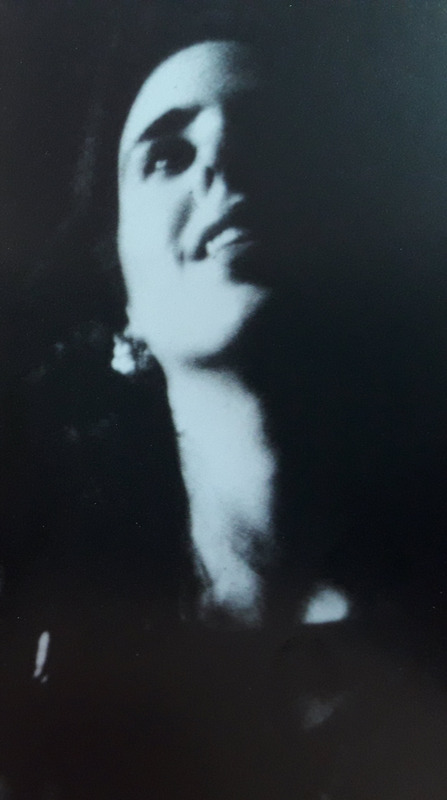 I told the whole Carole King story in SoTW 234: Carole King, ‘Up On the Roof’ (Live, 1971). Someday maybe I’ll write yet another post about why I think Laura owns the song more than The Drifters or even Carole King herself. The only song in this collection which did appear on an official album (“Christmas and the Beads of Sweat”), I believe the only cover she recorded other than “Gonna Take a Miracle”. I cheated. Sue me. 3 Written by Nickolas Ashford & Valerie Simpson for Marvin Gaye and Tammi Terrell. 4 Written by Goffin/King with Jerry Wexler for Aretha Franklin. Written by Holland-Dozier-Holland for Martha and the Vandellas. SoTW 062 tells the story of another hit of theirs. Written by Nickolas Ashford & Valerie Simpson for Marvin Gaye and Tammi Terrell. 8 written by Curtis Mayfield for his group The Impressions. 9 written by Lowman Pauling and Ralph Bass, made famous by The Shirelles and The Mamas and The Papas. Written by Carole King/Gerry Goffin for The Shirelles. Later recorded by The Beatles. Written by Burt Bacharach/Hal David for Dusty Springfield. Written by Richard Rogers and Lorenz Hart in 1930, eventually becoming a jazz standard (here by Chet Baker). Composed by Gilbert Bécaud in 1955, a hit for The Everly Brothers in 1960 and for Betty Everett and Jerry Butler in 1964. Written by George and Ira Gershwin in 1928, eventually becoming a jazz standard (here by Judy Garland). So that’s my Rosh HaShana gift to y’all. I hope you enjoy it as much as I do. I the LORD have called you in righteousness, and shall hold your hand and keep you and give you as a people’s covenant, as a light for the nations. אֲנִי ה’ קְרָאתִיךָ בְצֶדֶק, וְאַחְזֵק בְּיָדֶךָ; וְאֶצָּרְךָ, וְאֶתֶּנְךָ לִבְרִית עָם–לְאוֹר גּוֹיִם. Over the last 100 years, we’ve contributed not a little to popular culture (Vaudeville, Hollywood, Broadway). 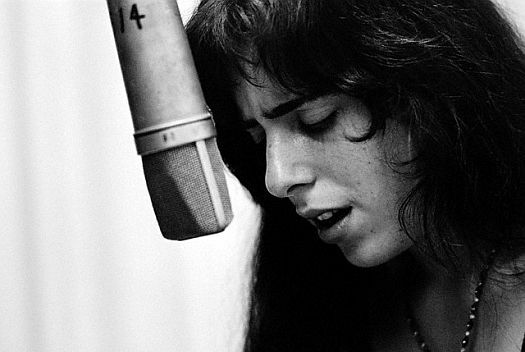 More specifically for our concerns here, we’ve given you ¾ of Laura Nyro, and 8 of the 14 songs here. Wishing everyone, everywhere, regardless of race, creed, color, gender or musical taste a very good year, a Shana Tova, full of health, happiness, pleasant surprises, and great music. I love it when Laura rolls around in your posts. The depth of her talent and vision never ceases to amaze and overwhelm; just when I think I’ve gotten it all sorted in my head, I run across something new that forces me to re-evaluate. I’m so glad that, even at this late date, there are still new things to discover. Thanks so much! Hadn’t heard her do Come And Get These Memories and I Just Don’t Know What To Do With Myself. Slight correction: I Just Don’t Know What To Do With Myself is Bacharach/David. Blooper! Thanks for the careful read. Thanks, Jeff, especially for your fond wishes. Listening to some of these gives me chills. Though this may not be a time to differ, but I didn’t bash Israel, actually, this brought my separation from the supposedly New Left. Hi Jeff, thanks for this and your other posts, wonderful work. 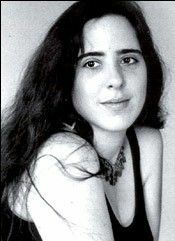 I cant help detecting a qabalistic influence in some of Lauras writing so it seems quite conceivable to me that she was familiar with the esoteric tradition and fused it with her penchant for free thought and experimentalism. She was a very special being in any case. If I was forced to pick a favorite from the collection, it would have to be “Ain’t No Mountain High Enough.” She inhabits this song’s heart and soul. A bluesy alto and purest soprano in the same phrase, she embraces every note in her loving arms. Thanks so much for those words, Jeff, and the recording of the Dusty chestnut. But ‘I’m So Proud/Dedicated…’ was recorded on Walk the Dog, Light the Light, which also featured another cover, Oh Yeah, Maybe Baby (The Heebie Jeebies), written for The Crystals. Meanwhile, since I’m in pedant mode, Laura’s last studio album, Angel in the Dark, contained a host of cover versions, including the last three you cite in your list.